Out with the old and in with the new, they say, but for graphic design trends in 2018 we are seeing some old andsome new. Designers are reinterpreting classic design movements like mid-century modern, early ’60s illustration styles, and ’90s minimalism. The new design is learning from the past, adapting on it and bringing fresh interpretations to the visual table. The best news is that there is just so much going on in the visual creative world — screen-based media has really brought graphic design to the forefront and there are many styles and trends pushing forward. Here are three, in my opinion, we will see more of this year. Typography and lettering have seen a boom over recent years. The increase in type choices for purchase and use is in part due to how touchpads, graphic design applications, and plugins have simplified the difficulty of creating fonts. 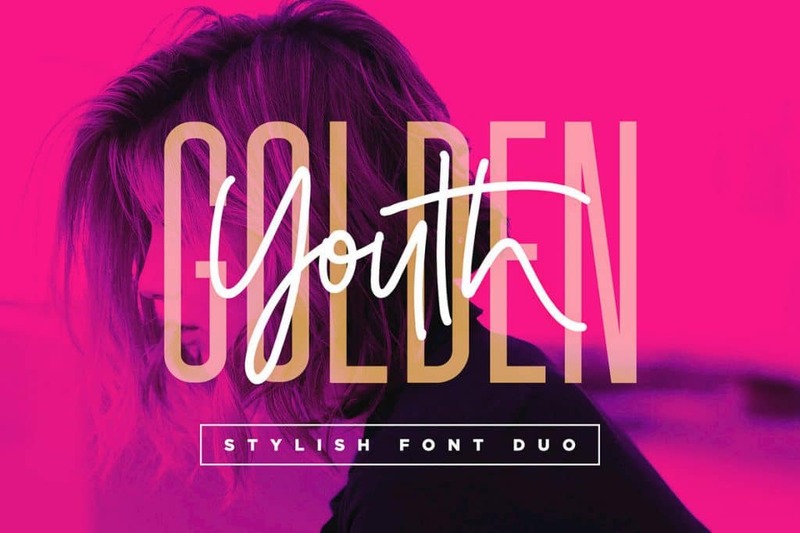 For instance, designers equipped with an iPad and brush set can create a stylish font based on their own handwriting or a colorful display type, in a few days. A great font pair and a beautiful example of a smooth clean handwriting script font. Designers are also looking for cleaner more sophisticated font designs that have a sense of naturalism and realism, but are also not totally rustic and gritty. 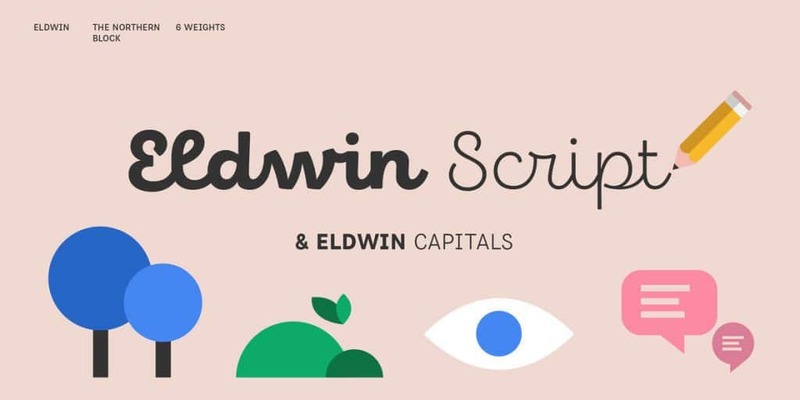 Eldwin Script is a clean script font with some vintage elements. The vintage trend is waning, as it rounds out of close to a decade of popularity. Hipster aesthetics are becoming more refined and moving beyond simply a general interest in adapting vintage visual styles, in favor of approaches that are more nuanced and skilled. The trends to watch then are a blend of styles. Fonts will appear cleaner, balanced and more visually worked out, regardless whether they are in a handwriting, vintage, deco, advertising serif or geometric modern style. The handwriting and script font aesthetic will maintain popularity and creative adaptations and permutations will continue. 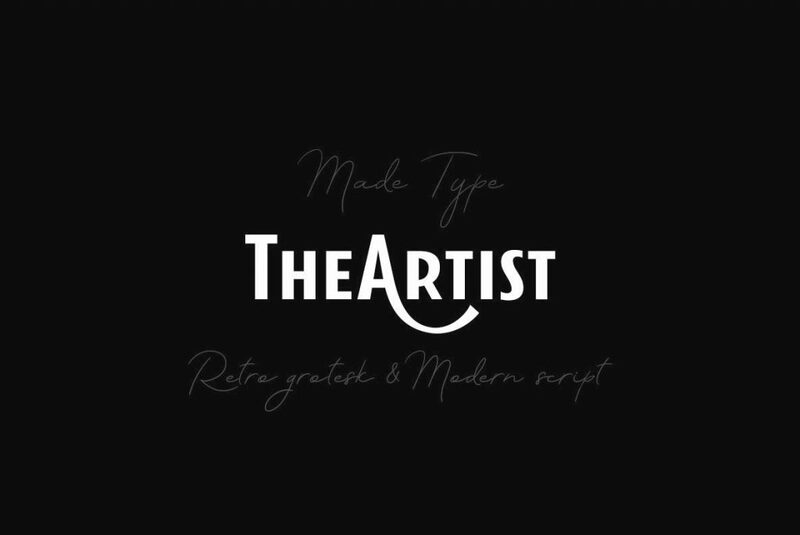 Vintage font styles will be blended more with modern, particularly the early moderns and gothics up through the new moderns. We won’t see Helvetica coming back anytime soon (unless it’s the right font for a particular client) but we will see the very rounded geometrics in use and combined with vintage and script font styles, or completely updated with quirky anatomical differences. 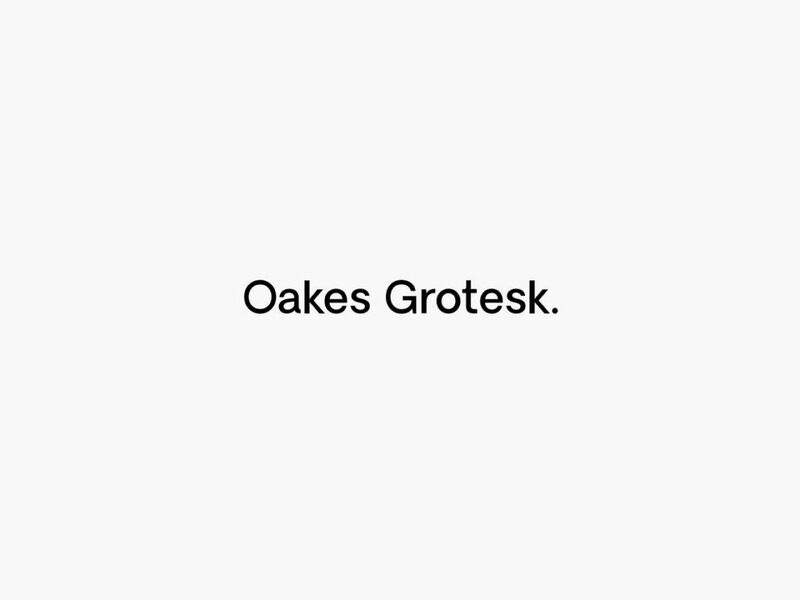 Oakes Grotesk is a choice example of a grotesque geometric with rounded counters. When done right, minimalism looks very elegant and refined. Minimalism stays in style longer and stands the test of time. How can it go out of style quickly? It’s minimalist! Minimalism has a premium high end look yet is also very affordable. During times of financial uncertainty, it is the perfect choice for businesses watching their costs. Minimalism is easy to adapt and apply. 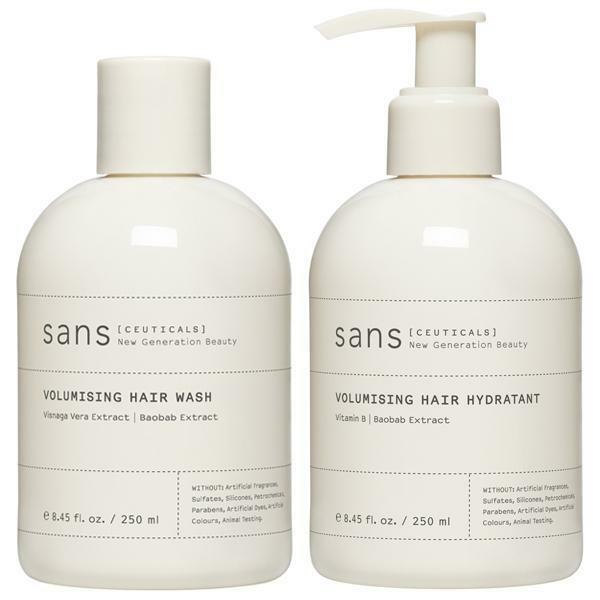 If you have a product line with multiple products it’s so much easier to change the product name and description on the packaging if the design is minimalist. Minimalism cuts the time it takes for a design to be produced. Minimalism is gender neutral. Minimalism is great for companies that are creating non-gendered products – which is also very in style at the moment. Illustration, in general, and illustration with a hand-drawn look is on trend for 2018. People are gravitating towards art and design that has a more hand-made quality and also, as mentioned, new apps and tools are making it easier to create a hand-drawn look in the digital realm. Artists can create work sketching and drawing and adapt it for use within apps much more easily. With Procreate, Illustrator, pen tools, brush libraries, and tablets whipping up a whimsical illustration in a hand-drawn style is much simpler. Naive, simple, and bold hand-drawn illustrations are a favorite. People want something that has a lot of good color and bold strokes that is pleasing to the eye — it’s not so much about realism and visual intricacy but creating an illustration that just vibes with people. People appreciate a simpler visual style, the world is already complex enough. Scenic and lifestyle illustrations are also popular and adding a touch of humor and animation is a good idea too. So there are some ideas about design trends for the upcoming year. Keep in mind though some of the best trends are impossible to predict. A talented designer or creative out there will just do something amazing that everyone likes and wants to copy or some mashup of visual influences across the creative culture will collectively create something new. If your goal is to be a savvy successful creative I urge you to know the trends but also come up with your own interpretations and ideas. Happy creating! 2018 cover art is by Alexandra Zutto.